Burnley boss Sean Dyche is happy with how his team are developing, despite going four league games without a win. kept the gap between the Clarets and the play-offs at seven points. 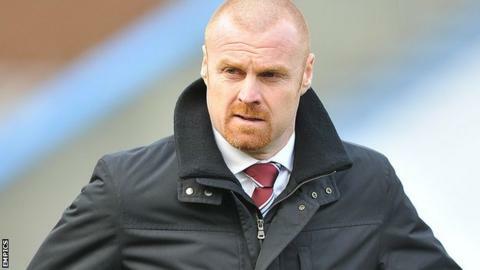 Dyche told BBC Radio Lancashire: "It shows how far we've come. "We've just played a team who are sixth in the table, with a lot of big players at this level, and we've come away slightly disappointed with a clean sheet, having dominated the game." But the former Watford manager refused to view the result as a missed opportunity, saying: "You can't say it is because they're a very strong side. They're up there for a reason. "I think they've only won one of the last eight now and yet they're still in sixth position, so that shows what a powerful side they can be." Dyche added: "We've got to be realistic about the opposition that we're playing. There's a tinge of disappointment, but we've come a long way and it's good that we are disappointed. "The main thing was not to lose because you don't want that gap going to 10 points - we want that gap closing, not opening." Burnley have only taken two points from their last four Championship matches, having and lie 11th in the table.